Postal Address: Manufacturas Alhambra S.L., Apdo. de Correos nº63 Muro de Alcoy E-03830 (Alicante) ESPAÑA. Registered at the Companies House of Alicante , Book 1236 general, Sheet 40, page nº A-3596, Inscription 1st. 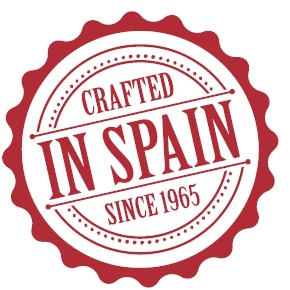 You agree to comply with all applicable laws and regulations, including but not limited to the laws of Spain, and the state or country in which you are located. You may not solicit the performance of any illegal activity or other activity which violates the rights of others. You may not post any material that defames, threatens, harasses, or embarrasses others. You may not post any material that is offensive, obscene, hateful, pornographic, vulgar, or harmful to anyone. You may not post any incomplete, false or inaccurate information. You may not pretend that you are, or that you represent, someone else. You may not misrepresent your affiliation with any person, group, or entity. You may not copy, reproduce, republish, modify, distribute, sell, rent, lease, or transmit any content on the Site without the express written approval of Manufacturas Alhambra, S.L. or as otherwise permitted by applicable law. You are prohibited from violating or attempting to violate any security features of the Site, including, without limitation, (a) accessing content or data not intended for You, or logging onto a server or account that You are not authorized to access; (b) attempting to probe, scan, or test the vulnerability of the Site, or any associated system or network, or to breach security or authentication measures without proper authorization; (c) interfering or attempting to interfere with service to any user, host, or network, including, without limitation, by means of submitting a virus to the Site, overloading, "flooding," "spamming," "mail bombing," or "crashing"; (d) using the Site or Services to send unsolicited e-mail, including, without limitation, promotions, or advertisements for products or services; (e) forging any TCP/IP packet header or any part of the header information in any e-mail or in any posting using the Site; or (f) attempting to modify, reverse-engineer, decompile, disassemble, or otherwise reduce or attempt to reduce to a human-perceivable form any of the source code used by the Site. Any violation of system or network security may subject You to civil and/or criminal liability. You may not use any device, software or other means to interfere with the proper functioning of the Site or with any other person's use of the Site. Additionally, the trademarks, service marks and logos used and displayed on the Site are the registered and unregistered trademarks of Alhambra Guitars or are used with the consent of the owner thereof. Alhambra Guitars does not grant, by implication or otherwise, any license or rights to use any trademark without Alhambra Guitars' express written consent. MANUFACTURAS ALHAMBRA, S.L., ITS SUBSIDIARIES, AFFILIATES, LICENSORS, SERVICE PROVIDERS, CONTENT PROVIDERS, EMPLOYEES, AGENTS, OFFICERS, AND DIRECTORS WILL NOT BE LIABLE FOR ANY INCIDENTAL, DIRECT, INDIRECT, PUNITIVE, ACTUAL, CONSEQUENTIAL, SPECIAL, EXEMPLARY, OR OTHER DAMAGES, INCLUDING LOSS OF REVENUE OR INCOME, PAIN AND SUFFERING, EMOTIONAL DISTRESS, OR SIMILAR DAMAGES, EVEN IF MANUFACTURAS ALHAMBRA, S.L. HAS BEEN ADVISED OF THE POSSIBILITY OF SUCH DAMAGES. As a condition of your use of the web site, you will not use the web site for any purpose that is unlawful or prohibited by these terms, conditions, and notices. You may not use the web site in any manner that could damage, disable, overburden, or impair Manufactura Alhambra, S.L. or its provider's server, or the network(s) connected to any server, or interfere with any other party's use and enjoyment of the web site. You may not attempt to gain unauthorized access to any services, other accounts, computer systems or networks connected to Manufacturas Alhambra, S.L. or its provider's server or to Manufacturas Alhambra, S.L. 's services, through hacking, password mining or any other means. You may not obtain or attempt to obtain any materials or information through any means not intentionally made available through the web site. Web design et programmation effectuée par Sollutia S.L.